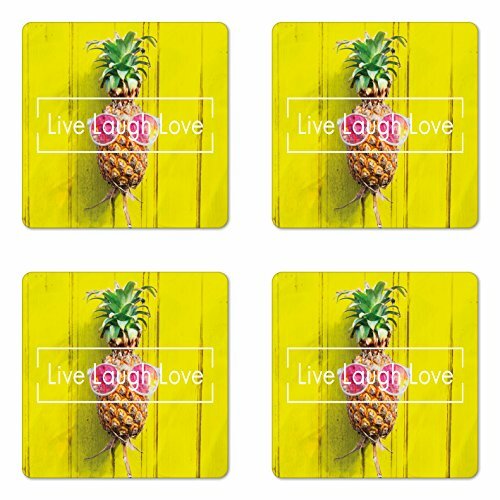 With a wide selection of trendy and snazzy designs, Thirstystone Occasions Coasters are a stylish way to accent any home. The full-color printing and cork backing will provide an additional layer of protection to any surface, and look beautiful at the same time. The 41/4" size is perfect for your favorite beverage. 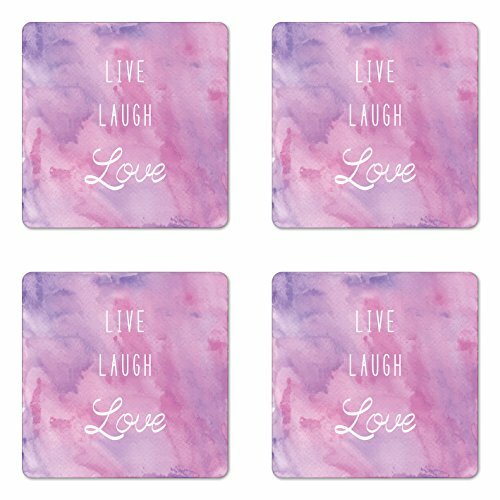 Enjoy the best things in life with Thirstystone Occasions Coasters. 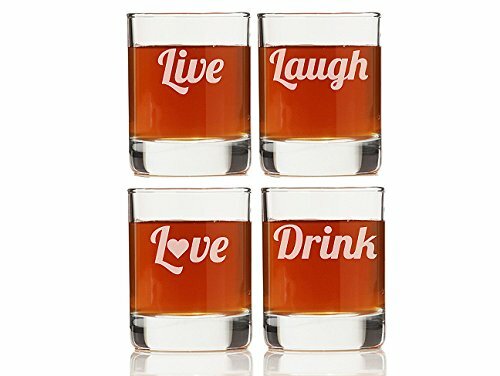 Each 3 Ounce shot glass in this set of four features a stylish engraved live, laugh, love, drink design. Made and engraved in USA. The perfect housewarming or any special occasion gift. Measures 2.5"H x 2" in diameter. After 5,000 years, the drink cup has evolved. Introducing Mugzie® tumblers with silicone travel lid. Mugzie® tumblers are a combination of a BPA-Free and Melamine-Free, two color, acrylic cup and the excellent insulating and water proof properties of neoprene wetsuit material. The ¼" hand sewn cushioned cover provides a secure grip and eliminates condensation and sweating. Silicone travel lid coverts your Mugzie to a travel mug. No more rings on your furniture, no more cold and wet hands. No more napkins or coasters needed. Shatter proof design is perfect for indoor and outdoor entertaining . Wow your guest at your next cocktail party. Tumblers are easily disassembled for cleaning by un-screwing the bottom cap. Cup is dishwasher safe. Cold drinks only. Wetsuit covers are water and stain resistant, they do not absorb liquids. Light stains and liquids wipe right off. If needed, cover is machine washable and dryer safe. Decorated and assembled in the USA. Patent Pending. This insulated travel mug is great for anyone on the go. 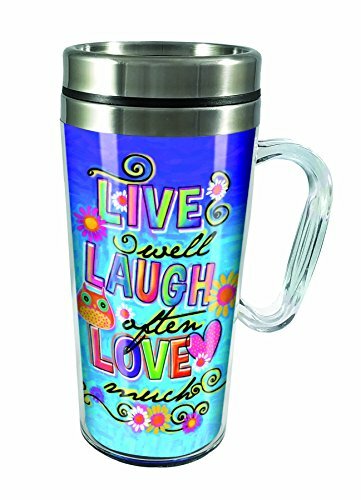 It holds 15 ounces and keeps your drink warm or cold with the double walled, stainless steel inner wall. With a sliding lock lid and skid plated bottom it's a fantastic travel companion! 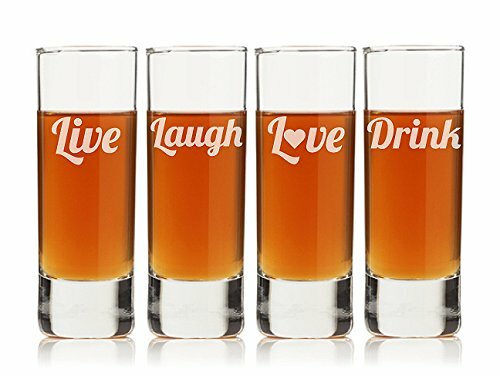 hand wash.
Each 2 Ounce tall shot glass in this set of four features a stylish engraved live, laugh, love, drink design. Made and engraved in USA. The perfect housewarming or any special occasion gift. Measures 4.25"H x 1" in diameter. 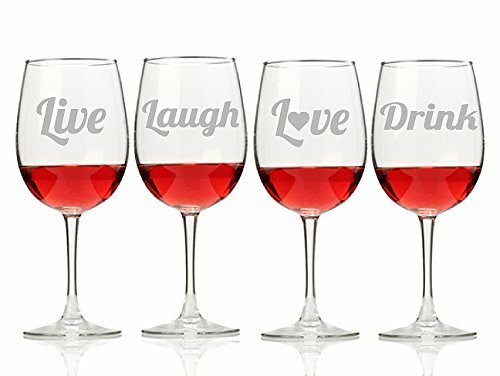 Each 12 Ounce wine glass in this set of four features a stylish engraved live, laugh, love, drink design. Made and engraved in USA. The perfect housewarming or any special occasion gift. 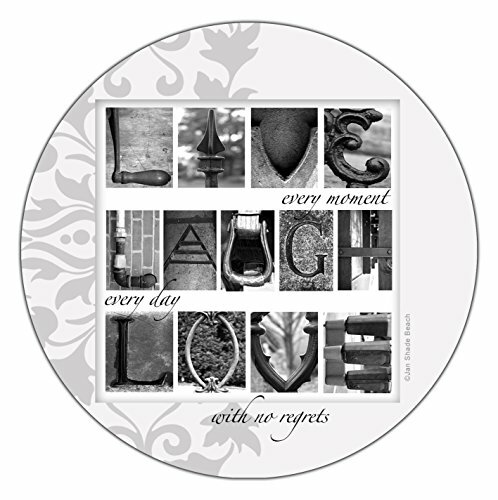 Measures 7.37"H x 3" in diameter. Words to live by! 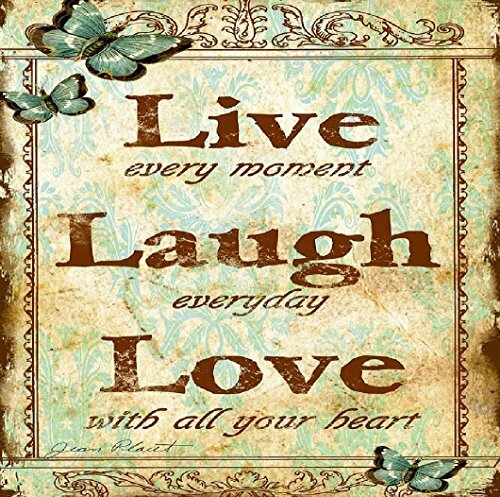 "Live well, Laugh often, Love much". 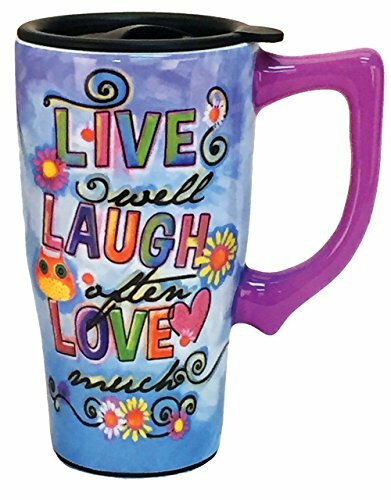 This ceramic travel mug is perfect for anyone on the go! With a locking lid and a skid plated bottom this mug is the perfect travel companion. The double wall insulation keeps drinks hot or cold and it is both microwave and dishwasher safe. Holds 16oz. 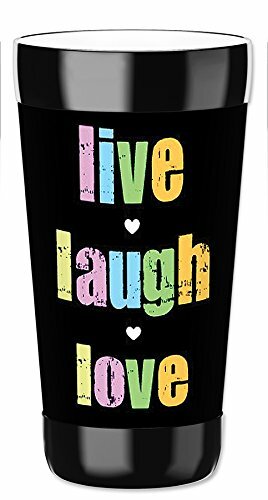 Compare prices on Live Laugh Drink at ShopPlanetUp.com – use promo codes and coupons for best offers and deals. We work hard to get you amazing deals and collect all available offers online and represent it in one place for the customers. Now our visitors can leverage benefits of big brands and heavy discounts available for that day and for famous brands.